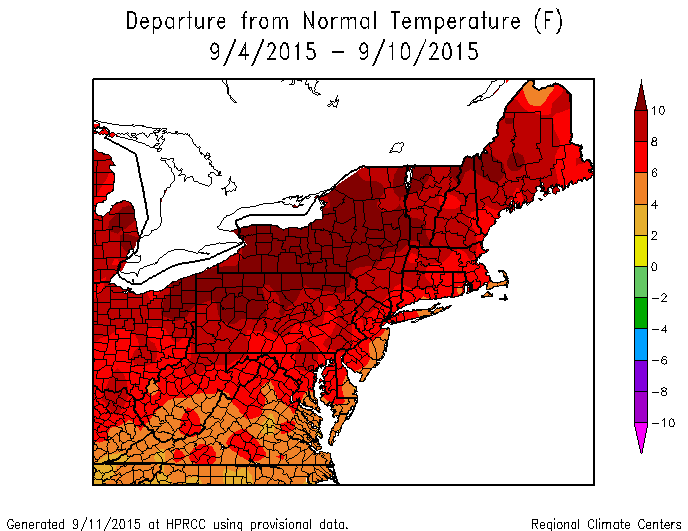 September has been hot, hot, hot in the Northeast. September signals the start of meteorological fall, but someone forgot to tell the weather that. Temperatures during the first nine days of September were running anywhere from 4°F above normal to more than 10°F above normal. Numerous record highs were set region-wide. 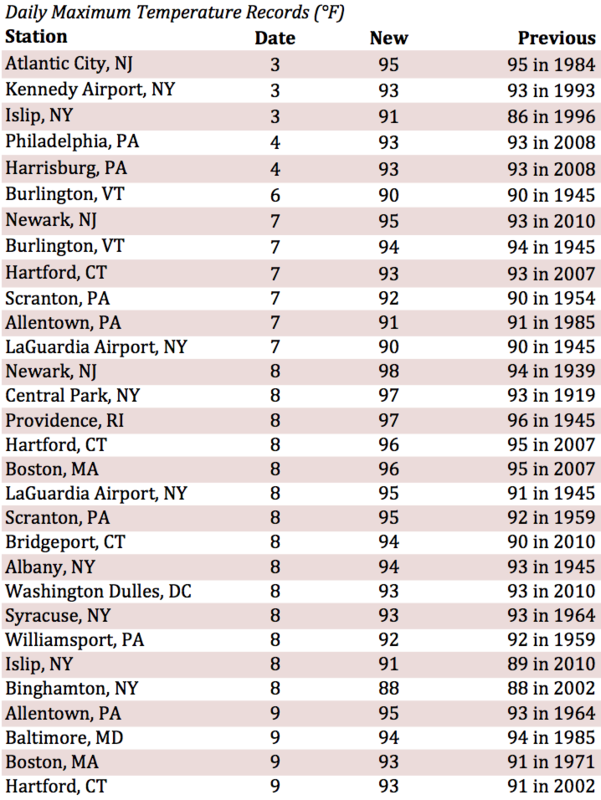 The mercury has reached 90°F or higher seven times this month in Allentown, PA, tying the site’s record for greatest number of 90°F+ days for September. Other than a few exceptions, rainfall has been well below normal in the region since late August. With high pressure dominating the weather pattern recently, the region has been noticeably dry. Rainfall totals have been less than 50% in many areas, with some spots even seeing less than 5% of normal. Binghamton, NY had its third longest stretch of consecutive days (19) without measurable precipitation. With the lack of rainfall, abnormal dryness and moderate drought were expanded in parts of the Northeast.